Obtaining a professional certification is an indication that you’re an expert. It’s proof to employers, peers and even yourself that you speak and think in a specific language. It comes with the expectation that co-workers and decision-makers will call on you for advice and insight. Your experience and expertise will be key to a business’ growth in the face of internal and external changes. Basically, a certification is confirmation that you provide value. And in a competitive and crowded industry like IT, it’s not easy to stand out. Deciding to get certified is one thing. Selecting a certification is another. What do you want out of it? A promotion? A higher salary? Viable skills? With hundreds of business and IT certifications to choose from, how do you know which certification to get? Which ones are popular? Which ones have staying power? In terms of standing out, just one certification may not be enough. Globally, IT professionals hold an average of about three certifications apiece. And many are already planning their next one. Overall, 64% of IT professionals are either presently engaged in training for a certification or plan to in the ensuing year. Now that’s some competition. Whether you’re wading into the waters with a foundational credential or pulling all-night study sessions to prep for your six-hour CISSP exam, a lot of time and energy getting certified. Here are 18 options, in no particular order, that are worth your effort based on site searches, feedback from instructors and data in the Global Knowledge IT Skills and Salary Report. I wonder if Amazon Web Services could have even envisioned the global demand for cloud when they launched their certification program in 2013. Today, AWS certifications are wildly popular and produce some of the highest salaries in the industry. AWS Certified Solutions Architect – Associate has been the standard bearer for cloud professionals, especially as many organizations have fully invested in AWS cloud services. According to the IT Skills and Salary Report, this is the highest-paying certification in the United States and Canada ($117,773). This associate-level certification is a perfect fit for IT pros looking to fill the cloud hiring void. According to our report, 29% of decision-makers are struggling to hire cloud professionals. With cloud standing firm as a top tech interest area worldwide, that skills shortage isn’t likely to drop on its own. With AWS dominating the cloud scene, AWS-specific expertise is often mandatory. And the positions pay extraordinarily well, which is why AWS certifications will likely remain in strong demand. Of the 16,000-plus respondents to our IT Skills and Salary Survey, nearly 16% own a Cisco Certified Network Associate (CCNA) Routing and Switching credential. It’s a foundational dive into the skills needed to plan, implement, verify and troubleshoot complex network solutions. It’s no surprise that this is one of our most sought-after certifications since the cloud and changing technologies, such as quality of service (QoS) elements and wireless controllers, put an emphasis on networking importance. With mobile devices multiplying and the emergence of the Internet of Things (IoT), the skills required of a core network engineer are constantly evolving. This certification fills the skills gaps that occur when technology outpaces training. The demand and staying power of this certification sets it apart. It’s also a necessary step toward achieving a CCNP Routing and Switching credential. If you want to talk about staying power, PMP® has been in the mix since 1984 and is as prevalent as ever. This certification is one of the most prestigious on this list. Even after 34 years, it still means a lot. Aside from its staying power, PMP® is a great credential to have if you’re trying to move from a technical to a managerial track. Thus, PMP®-certified professionals have higher-than-normal salaries, especially when paired with an existing credential. For example, when paired with an AWS certification, the average salary is up $30,674. When paired with a security credential, the salary increases by $26,515. Similar bumps exist when coupled with ITIL®, Red Hat® and Microsoft certifications. Another reason PMP® is so widely-respected is its exam—it’s one of the toughest tests in the industry. The exam tests five areas relating to a project’s life cycle and it’s not specialized to any particular industry. Requirements include a four-year degree and at least three years of project management experience, with 4,500 hours leading projects and 35 hours of project management education. This certification certainly requires a motivated professional who is up to the challenge. CompTIA Network+ is so well-respected that Microsoft, Cisco and other brands have included it as part of their certification tracks. It’s a stepping stone to more intensive and vendor-specific certifications. CompTIA Network+ proves a technician’s competency in managing, maintaining, troubleshooting, installing and configuring basic network infrastructure. Since its launch in 1999, more than 235,000 people have become certified. It currently ranks 18th in our list of top-paying certifications. It’s recommended that candidates are also certified in CompTIA A+ and have at least nine months of experience in network support, administration or education. There is a critical need for qualified security professionals. CompTIA Security+ is an ideal first step for aspiring cybersecurity experts. All IT professionals, regardless of specialty, could benefit from this foundation-level, vendor-neutral certification. CompTIA Security+ is our 10th highest-paying certification worldwide. Candidates are required to have at least two years of experience as an IT administrator with a focus on security and have day-to-day information security experience. A CompTIA Network+ certification is also recommended. With the addition of cloud and an increase in the complexity and frequency of data breaches, organizations are more concerned with security than ever before. This certification provides the knowledge necessary to anticipate, react to and guard against cyberattacks. This entry-level certification is a win-win for individuals and organizations since ITIL-certified professionals are paid well and are better prepared to align business needs with the IT department. ITIL Foundation helps you understand the IT lifecycle. Certified professionals are in the driver’s seat when it comes to supporting business outcomes and managing risk. Often, ITIL-certified professionals are at the forefront when an organization changes the way it does business. Aside from its business benefits, ITIL Foundation has the 19th-highest salary worldwide, averaging $87,453 in the U.S. and Canada. It also significantly magnifies other credentials you may currently have. When paired with a Cisco certification, the average salary increases by $13,333. Couple an ITIL certification with a project management certification, such as COBIT, TOGAF or PMI, and average salary bumps up $11,428. Similar increases occur when ITIL is paired with CompTIA, Microsoft and security credentials. Looking to combat and mitigate security threats in a Cisco network? Then this is the certification for you. CCNA Security validates your skills in developing an infrastructure and recognizing vulnerabilities in your network. CCNA Security is held by 17% of IT professionals and is also a necessary requirement when working toward a CCNP Security credential, which has an average salary of over $100,000. Just like all Cisco certifications, this credential is valid for three years. A CCENT certification or ICND1 v3.0 - Interconnecting Cisco Networking Devices, Part 1 is recommended before pursuing your CCNA Security certification. High salaries and popularity make this certification a double threat. Microsoft certifications are widespread in general—36% of our IT Skills and Salary Survey respondents are Microsoft-certified. Of that group, 44% hold a SQL Server certification. MCSA stands for Microsoft Certified Solutions Associate. MCSA: SQL Server 2012/2014 is for individuals interested in data management. It confirms the essential skills needed to manage Microsoft’s SQL Server and is the first step toward earning the MCSE: Data Platform or the MCSA Business Intelligence certifications. If you’re aiming for a position as either a software or database developer or perhaps a database analyst, this is a good place to start. It also pays well—MCSA: SQL Server is ranked 15th ($90,303) in our top-paying certifications. An MCSA: Windows Server 2016 certificate provides you with the skills necessary to reduce costs and deliver better business value. It’s ideal for professionals in network administrator, computer systems administrator or computer network specialist positions. The MCSA: Windows Server 2016 certification routinely ranks on our list of top-paying certifications. In 2016, interest in Windows Server certifications trailed only CCNA Routing and Switching, CompTIA A+ and CompTIA Security+ in terms of popularity. This year, 6% of all survey respondents hold an MCSA: Windows Server 2016 credential. Demand for VCP6-DCV is growing as organizations increasingly virtualize their data center and infrastructure. Data center managers are scrambling to hire specialized IT professionals to fill the needed roles. Getting certified in VCP6-DCV is a great chance to stand out as a virtual infrastructure specialist. VMware-certified professionals make over $92,000 in the U.S. and Canada. That number rises to $102,082 for professionals certified in VCP6-DCV. For those professionals who want to gain experience with VMware’s vSphere 6.5 (released in late November 2016), there’s also a certification for VMware Certified Professional 6.5 – Data Center Virtualization. If you’re interested in virtualization, VMware has cornered the market. Learn how to build a scalable virtual infrastructure using vSphere including installation, configuration and optimization. If you’re looking to get paid, CRISC has been the top-paying certification in three of the last five years. It currently ranks second worldwide in 2018. According to our IT Skills and Salary Report, CRISC average salaries include $107,968 in the U.S. and Canada, and $93,193 worldwide. This ISACA cybersecurity certification is designed for IT professionals, project managers and other individuals who are responsible for identifying and managing IT and business risks through Information Systems controls. As the struggle continues in the search for experienced security professionals, ISACA has been out front by helping those in the cybersecurity field get more out of people already in the fold. ISACA’s certifications are consistently some of the highest-paying across the board, with five showing up in our top-20 list. This certification is designed for driven professionals who work hard to keep up with evolving cybersecurity skills. Completing the CISSP certification is like earning your master’s degree in IT security. This (ISC)2 certification is so essential that it’s often a security staff requirement by organizations. The average salary for professionals holding this certification is $109,965, which is fifth highest in the U.S. and Canada. Worldwide, CISSP-certified pros have an average salary of $100,146, which ranks at No. 1. Released in 1994, CISSP has staying power. CISSPs are responsible for defining the architecture, design, management and controls that ensure a secure organization. Prerequisites for CISSP includes five years of work experience and recertification is required every three years. Attaining this credential is validation of your years of security experience. And if you earn it, you’ve really earned it—the exam is a doozy! This advanced security certification puts you in the mind of a hacker. It’s your best opportunity to gain access to frequently-used hacking tools so you’ll possess the skills to spot vulnerabilities in your own network. The most acclaimed of EC-Council’s certifications, CEH is vendor-neutral and is modeled for any IT professional who is concerned with the integrity of network infrastructure. It also covers threats to the cloud, which is a growing challenge. The CEH exam puts your hacker skills to work by grading the test-taker’s ability to find weaknesses and holes in an organization’s network defense. This year, CEH has an average salary of $103,018 in North America while also ranking 12th worldwide. To defend against hackers, you have to think like a hacker. CEH puts you in the best position to do so. Training is paramount for Citrix-certified professionals. They’ve noticed a bump in salary and are often pursuing new skills and knowledge. For IT operators and managers who oversee XenDesktop 7 solutions, CCA-V is their starting point. And if an IT professional continues on to earn the Citrix Certified Professional-Virtualization credential, their average salary increases to over $111,000. Salaries of Citrix-certified professionals really stand out. Holder of Citrix certifications have average salaries of $89,095. RHCE is known for two things: it’s real-world exam and its reputation as the most rigorous and acclaimed Linux certification. RHCE is for senior Linux administrators seeking to prove their ability to configure networking services and security on servers running Linux. As for the exam, it measures actual competency on a live system. There are no multiple-choice questions. Instead, candidates are tested on how they perform and carry out tasks. An RHCSA credential is a prerequisite. If you’re a Linux administrator, this certification is for you. It proves your senior-level expertise and real-world capabilities. With virtualization and the cloud moving many components outside of the physical IT department, IT governance has become one of the biggest challenges in the industry. But it pays well. Salaries for governance certifications are some of the highest both in the U.S. and Canada ($108,297), and worldwide ($84,420). 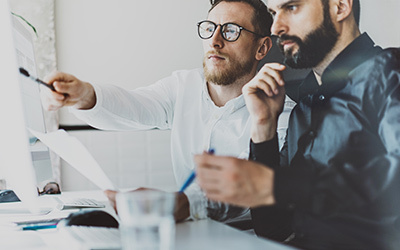 COBIT, in particular, is a premiere governance certification from ISACA that puts IT professionals in a unique position to align business objectives with IT. Covering the enterprise end to end. Applying a single integrated framework. MCSE, which stands for Microsoft Certified Solutions Expert, is an expert-level certification that replaced MCSE: Server Infrastructure in March 2017. Understanding how to deploy Windows is critical and this certification prepares for deployment both on-premises and on the cloud. It provides expertise in the modern data center, cloud technologies, identity management, systems management, virtualization, storage and networking. If you hold other Microsoft certifications, this one builds on the foundation of MCSA: Windows 2012, MCSA: Windows 2016, MCSA: Cloud Platform or MCSA: Linux on Azure. Take a deeper dive into this certification with our prep guide, “A Complete Guide: How to Become a Microsoft Certified Solutions Expert in Cloud Platform and Infrastructure." Six Sigma certifications aren’t IT-specific. Six Sigma is a business methodology that uses data and analysis to improve business performance with the goal of eliminating mistakes, waste and rework. There are three levels: Six Sigma Green Belt, Six Sigma Black Belt and Six Sigma Master Black Belt. Six Sigma-certified professionals are paid well and their value is reflected in improved business performance. Each candidate is required to have a leadership-approved project prior to certification training. It’s also unique in that there is no standard certification exam. Some organizations can even certify an employee for simply taking a course or completing a project. If you want to drive change, make sure you train with a goal in mind. Don’t just randomly select a certification from this list. Training for the sake of training isn’t enough. Map out your objectives and work toward them. Just because a certification is popular doesn’t mean it’s the right fit for you. These 18 certifications are tried and true, but do they match your desired career path? Will they help you provide immediate value and drive change in your business? Also, make sure you understand the value of cross-certification. For instance, Microsoft, CompTIA and ITIL credentials pair well with Cisco certifications. Broadening your expertise across multiple vendors can be a great way to distinguish yourself in the workplace. According to our IT Skills and Salary Report, nearly 47% of respondents say they train specifically to prepare for certification. A decade ago, that number was 9%. The value of certifications is no longer questioned. The only question is—which certification is right for you? This list is a good place to start, be sure to peruse our entire certification training portfolio to start mapping out your pathway today.